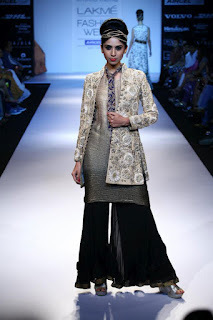 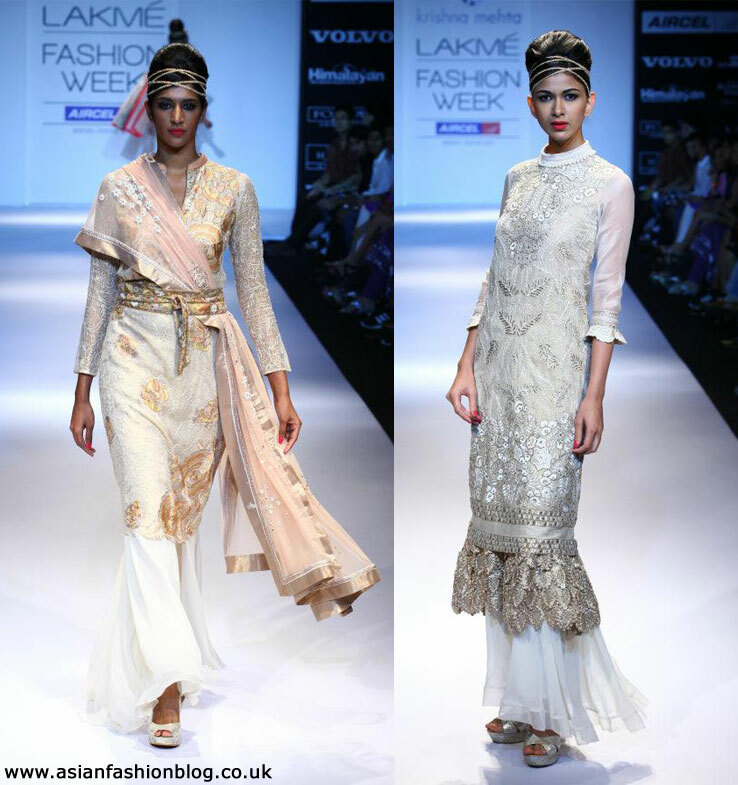 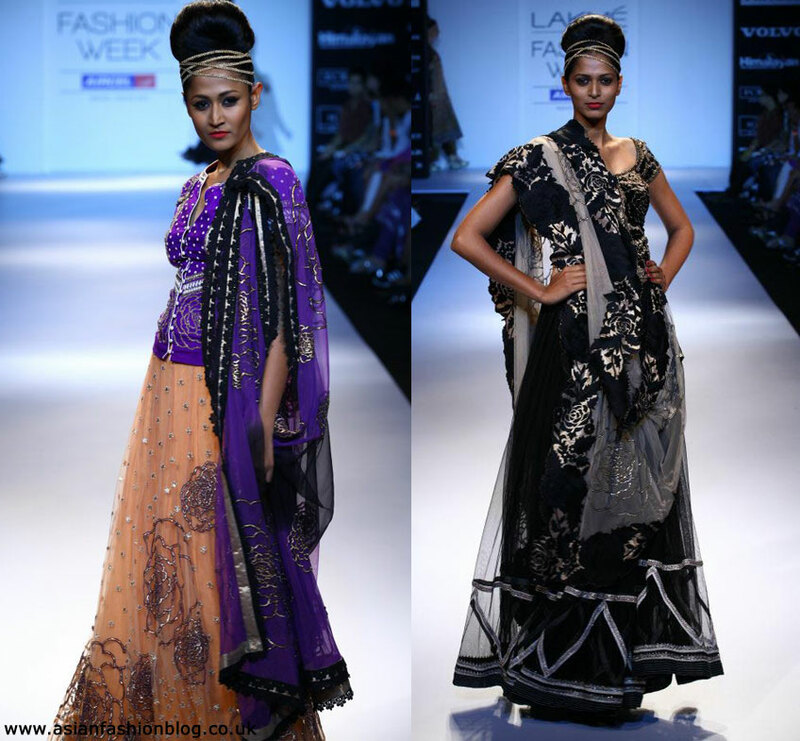 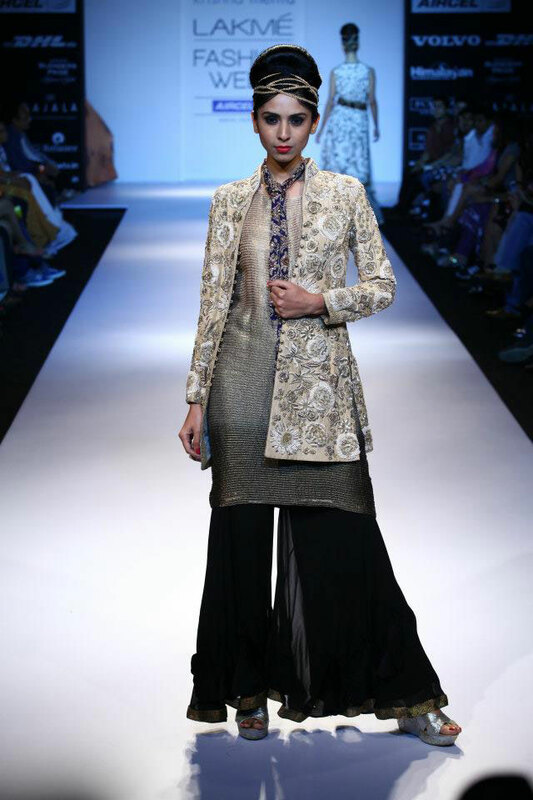 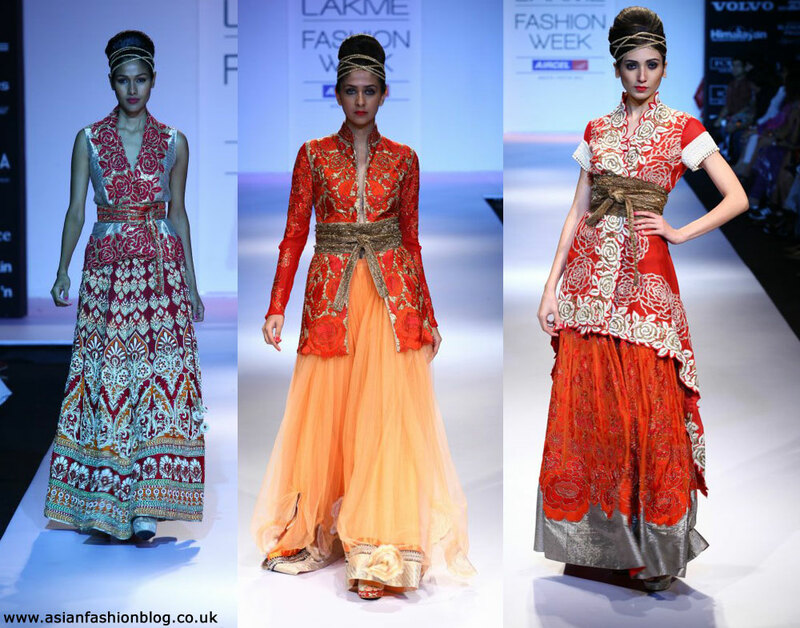 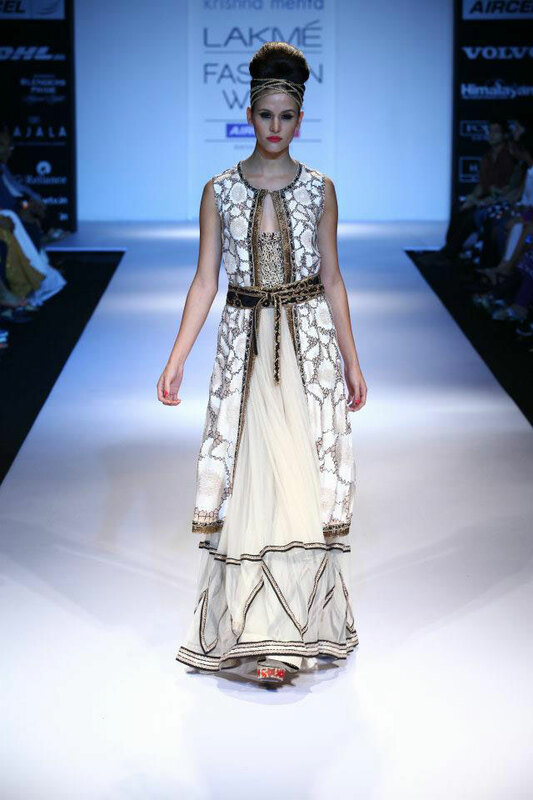 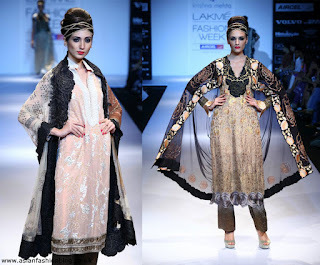 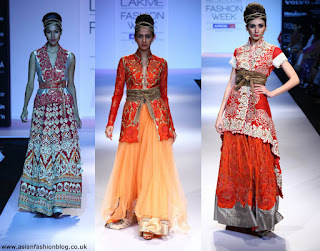 "Encore" was the name of this collection by Krishna Mehta showcased at India's 2012 Lakme Fashion Week Winter/Festive. I liked the little details like the belts. 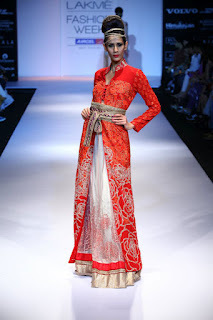 The outfits would probably have looked perfectly fine without them, but they add a little something extra...I feel like experimenting with some of my old outfits and adding belts to try and re-invent them! You can view more photos from the collection at the Lakme Fashion Week Facebook page here.